If you look at this structure from afar, you will see a wide and tall tower similar to a spiral. It consists of a core and a number of levels placed from the bottom up. 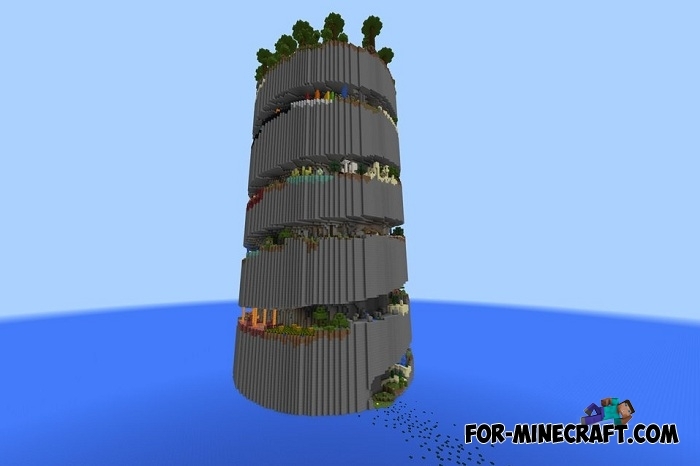 The tower like any other, ends at the very top, you have to get through there having passed various obstacles. Your brain will not be heavily involved during the passage, but your fingers have to do a good job to get to the finish. 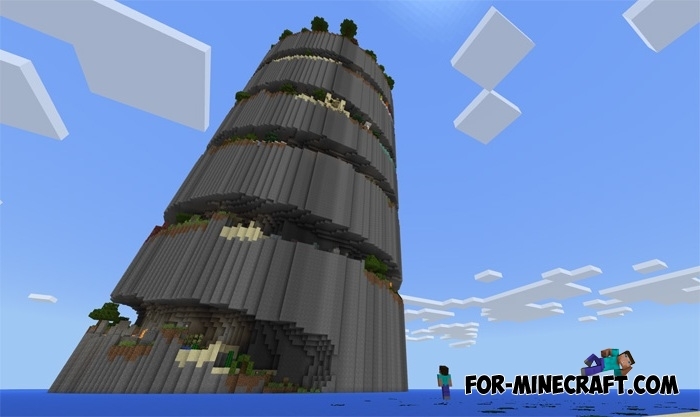 Similar towers exist in the desktop version of Minecraft and now one of them is built in MCPE. 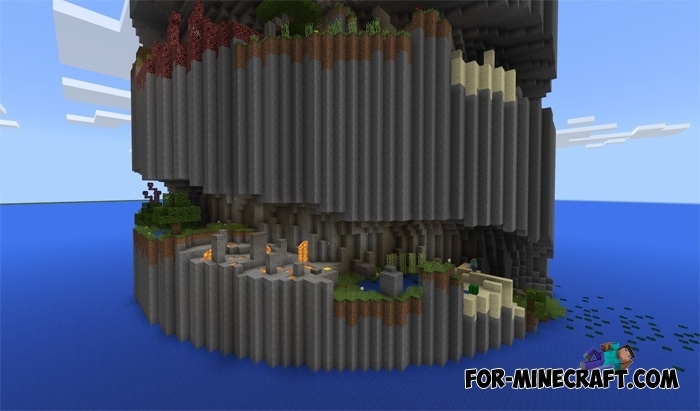 Levels symbolize biomes, but they are not all so dangerous unlike lava parkour. 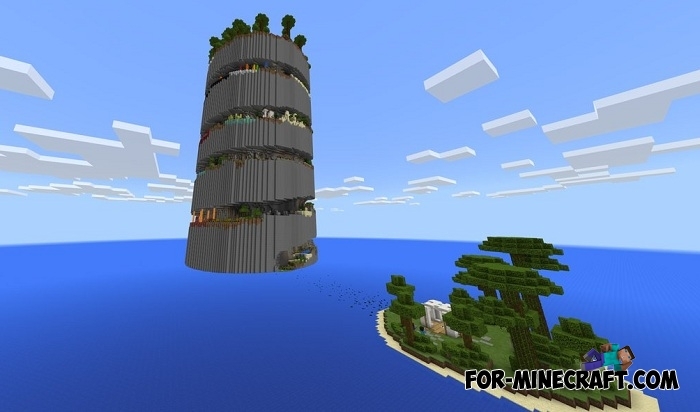 Lucky Block Spiral mod (Minecraft PE 1.2)Lucky Block Spiral is one of the craziest mods for Minecraft Pocket Edition, because it contains more than 200 different objects, structures and mobs..